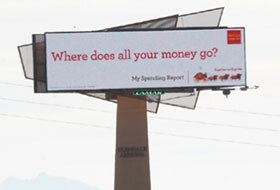 Baton Rouge, LA – August 1, 2012 – Commuters in the city of Sacramento, CA will have eye-catching ads to look at on buses for the next five years, thanks to a new transit advertising contract. 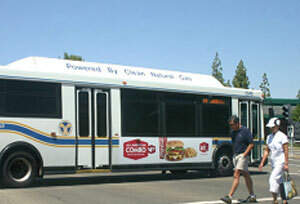 Lamar Advertising Company (Nasdaq: LAMR) signed a transit advertising agreement with Sacramento Regional Transit for a five year term through 2017. The transit fleet includes 175 buses, which serve 1.4 million residents in the city of Sacramento. The buses cover 418 square Miles in Sacramento and operate 69 total routes, providing transportation between popular destinations in Roseland, Land Park, Elk Grove, Arden Arcade, Citrus Heights, Folsom, Fair Oaks, East Sacramento/Midtown and the Downtown Sacramento area. 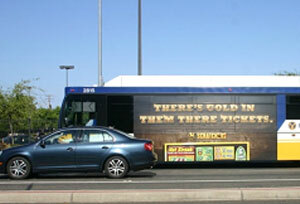 Lamar Transit Advertising connects advertising agencies and direct clients to the transit advertising medium, displaying advertisers’ messages on the interiors and exteriors of Sacramento Regional Transit buses.